LONDON -- The number of electric vehicles on the road rocketed to 2 million in 2016 after being virtually non-existent just five years ago, according to the International Energy Agency. Registered plug-in hybrids and fully electric-powered vehicles on roads worldwide rose 60 percent from the year before, according to the Global EV Outlook 2017 report from the Paris-based IEA. Despite the rapid growth, electric vehicles still represent just 0.2 percent of total light-duty vehicles. "China was by far the largest electric car market, accounting for more than 40 percent of the electric cars sold in the world and more than double the amount sold in the United States," the IEA wrote in the report published Wednesday. "It is undeniable that the current electric car market uptake is largely influenced by the policy environment." A multi government program called the Electric Vehicle Initiative on Thursday will set a goal for 30 percent market share for battery power cars, buses, trucks and vans by 2030, according to IEA. The 10 governments in the initiative include China, France, Germany, the UK and the U.S.
India, which isn't part of the group, said last month that it plans to sell only electric cars by the end of the next decade. Countries and cities are looking to electric vehicles to help tackle their air pollution problems. 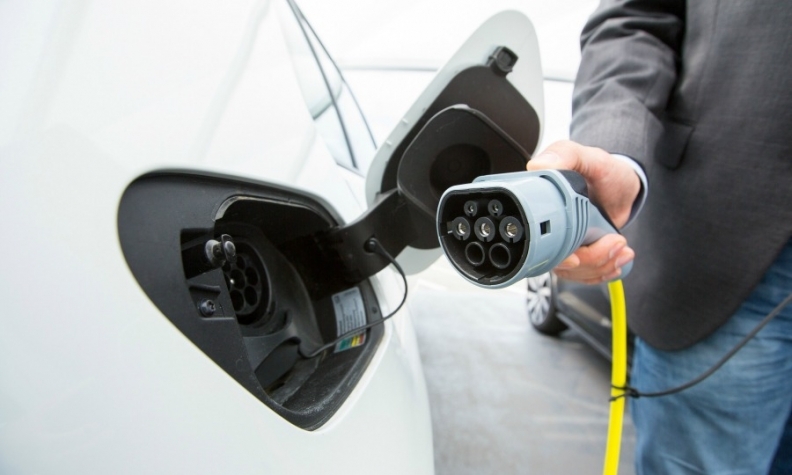 Consumer interest and charging infrastructure, as well as declining demand for diesel cars in the wake of Volkswagen Group's emissions scandal, has spurred massive investments in plug-in hybrid cars. An electrical vehicle "cool factor" could spur sales to 450 million by 2035, according to BP Chief Economist Spencer Dale. After struggling for consumer acceptance with high-end sedans, and SUVs, Tesla is now pushing into the mass market with the new Model 3 sedan. Volkswagen plans to roll out four affordable electric vehicles in the coming years as part of a goal to sell more than 2 million battery-powered vehicles a year by 2025. Mercedes-Benz accelerated the introduction of 10 new electric vehicles by three years to 2022 to take on Tesla as the dominance of the combustion engine gradually fades.